The versatility and creativity of steam cooking makes a Miele Steam Oven truly a kitchen necessity in order to deliver the most flavoursome and healthy cooking results. Find out more here! The versatility and creativity of steam cooking makes a Miele Steam Oven truly a kitchen necessity in order to deliver the most flavoursome and healthy cooking results. As Miele’s Ambassador, chef and restaurateur, Shannon Bennett of Melbourne’s renowned Vue de monde restaurant attests whether the choice is a built-in pure steam oven, a built-in steam combination oven or a benchtop pure steam model, each offers a multitude of applications to support the creativity of the home cook. “In all my kitchens, a Miele steam oven is not an option, it’s a necessity,” says Shannon. 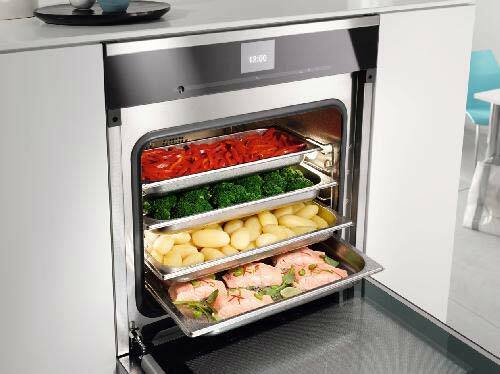 The steam oven is such a versatile cooking appliance able to create so many dishes, limited only by the imagination! A Miele Steam Oven can be used to prepare amazing desserts – Crème Brûlée, Lemon Delicious, and even éclairs, to name but a few. Also savoury dishes can be created with ease. One popular Shannon Bennett recipe is a nourishing Beef Pho while a number of fish meat and game dishes are made easily using a steam oven. Why not try Steamed Buns with Confit Duck where again the Miele Steam Oven is the hero? With a Miele Steam Oven, the results are exceptional as steaming intensifies the food’s natural flavours while retaining its nutritional goodness. This is achieved as these ovens gently envelope the food items in steam, operating without pressure, in a precisely controlled temperature range of 40–100°C made possible by the external steam generation principle. Bread, a delicate fish dish or robust meat dish, vegetables, rice and wonderful desserts, whatever the dish, the outcome is sensationally delicious! Furthermore, for busy households, defrosting has never been easier or gentler while reheating retains flavour and texture without drying out the food. Miele steam ovens can also assist to make yoghurt, cook eggs and disinfect baby bottles. For added convenience, a Keep Warm function prevents food from cooling down by automatically keeping it at serving temperature for 15 minutes after the cooking process is completed. 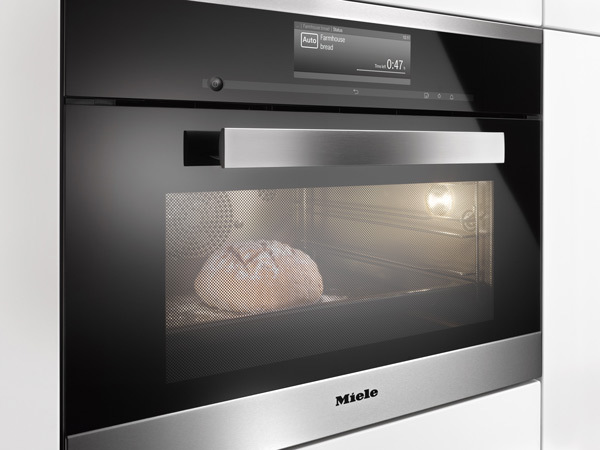 As reflected in its built-in counterpart, this Miele Steam Oven features external steam generation that minimises any dry heat in the food chamber. The Miele DG 6010 can cook various food items simultaneously without the transfer of flavours while saving valuable time and energy. Easily accommodated in existing kitchen layouts, this benchtop Miele steam oven has a 30 litre capacity and a clean steel exterior for easy cleaning. 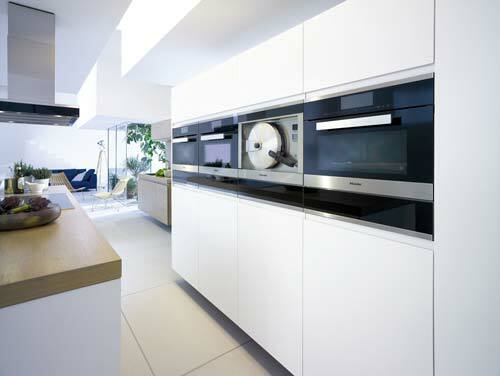 In this guise, Miele’s exclusive MultiSteam technology is featured in the larger 38 litre cabinet of the Miele DG 6401 through the use of an illuminated MultiSteam module, visible through the glass viewing screen on the door. Exclusive to Miele, MultiSteam comprises eight steam inlet ports to enable the fast generation of steam and steam distribution, as well as the delivery of extremely short heat-up times and uniform cooking results. With four rack levels, the DG 6401 conveniently can cook surprisingly large quantities of various foods simultaneously without the transfer of flavours, thus also saving valuable time and energy. Equipped with Automatic Programmes, the very versatile DG 6401 Steam Oven can easily prepare more than 50 dishes cooked to perfection. From starters, soups, fish and meat through to vegetables, side-dishes and puddings, all can be cooked individually or as a complete meal in one cooking process. Like all Miele Steam Ovens, the DG 6401 also cater for individual preferences such as firm or tender cooking results. With the impressive DGD 4635, Miele presents the fastest and most powerful built-in steam oven in the world! With its sleek semi-professional design in CleanSteel, this significant new addition enables food to cook up to 50 percent faster than in other Miele steam ovens yet dishes still retain all their natural flavours and nutrients. While operating as a steam oven at temperatures of 40o C to 120o C, the Miele DGD4635 can also be used for pressure cooking at 105o C to 120o C as well as for reheating and defrosting. Combining the benefits of steam with multifunction oven technology, Miele’s DGC 6800 XL and DGC 6805 XL achieve outstanding cooking, roasting and baking results with virtually unlimited combination options. With an extraordinary XL cabinet and cooking on three levels, the DGC 6800 XL and DGC 6805 XL have a generous space in which to simultaneously prepare meals for up to 10 people. There’s also sufficient room for a whole fish or a large game bird! Truly three-in-one appliances, the DGC 6800 XL and DGC 6805 XL are incredibly versatile as they can operate as a steam oven with moist steam, or as an oven with dry heat, or as a full steam combination oven, for a vast range of cooking possibilities and easily-achieved, gourmet-quality results. The operation of these Steam Combination Ovens is simplified with a host of Automatic Programmes, easily selected with the touch of a fingertip on Miele’s exclusive ‘M Touch’ controls. Ensuring supervision is no longer necessary, the wireless food probe, accompanying both combination ovens, gives home cooks the precise measurement of core temperature and indicates the remaining cooking time. Ensuring easy maintenance and cleaning once cooking is complete, the DGC 6800 XL and DGC 6805 XL feature Miele’s PerfectClean finish with non-stick properties. Also, at the touch of a button, a motorised lift-up fascia panel opens to reveal the wireless food probe as well as the water container and condensation container which can be easily removed and emptied without opening the appliance door. The pinnacle of easy operation and maintenance, the DGC 6805 XL is not only connected to the mains water supply but also features a waste water connection to directly drain any condensate. As the largest Miele Steam Combination Oven on the market, the DGC 6660 XXL boasts a huge 68 litre capacity to deliver ample cooking possibilities on four rack levels. Yet, while so large, this latest innovation deceptively only requires a 60cm cabinetry equivalent to that of a wall oven. With a host of operating modes to help achieve gourmet-quality results – including steam cooking, Fan Plus, top and bottom heat, top heat, bottom heat, grill, economy grill, fan grill, Intensive Bake, defrosting, reheating, bottling and blanching – combination options are virtually limitless. The DGC 6660 XXL also offers more than 200 automatic programmes including low-temperature or slow-cooking cycles which can be selected on the intuitive SensorTronic Touch controls, as well as a food probe to deliver precise measurement of core temperature. In “steam only” mode, a water tank concealed behind the motorised fascia panel draws water into the MultiSteam generator behind the appliance. 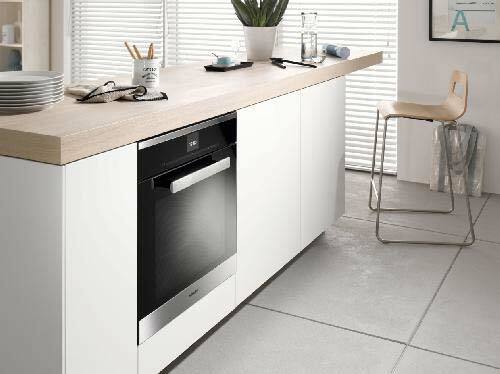 Miele’s exclusive PerfectClean and linen-weave surface finish with exceptional non-stick properties. 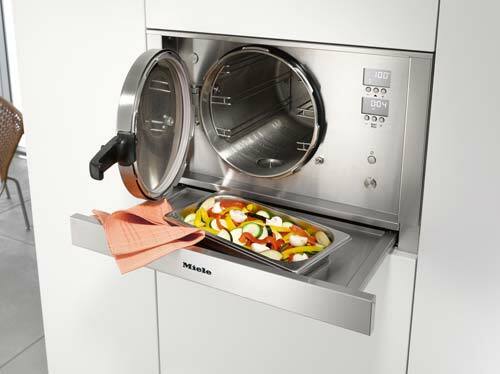 All Miele Steam and Steam Combination Built-in Ovens feature an external steam generator so limescale cannot form inside the cabinet and the interior can be simply wiped dry. Miele Generation 6000 Steam and Combination Steam Ovens can be seamlessly combined with other Miele cooking appliances in a range of horizontal and vertical combinations, perfectly integrated into kitchen furniture. These elegant Steam and Steam Combination Ovens are available in Miele’s signature CleanSteel finish, while select models are also available in striking colour combinations including Brilliant White, Obsidian Black and Mink. 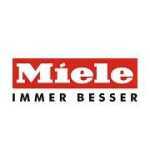 German engineered and tested to the equivalent of 20 years usage, Miele’s Generation 6000 steam ovens are available from Miele Chartered Agents, with the exception of the Benchtop DG 6010 which is exclusively available from Miele Centres and the Miele Online Shop.